Although The Allman Brothers Band is my favorite band and their music has largely inspired this project, it is the music of The Band that has inspired my approach. After the brothers Allman, The Band has always been a close second to me. Although their time together was slightly shorter (what other band can go 45 years strong? ), their impact certainly isn't. Their rootsy approach to folk and blues inspired everyone from Eric Clapton and The Beatles to the very musicians that inspired them. The Staples Singers, whose rich vocal arrangements inspired The Band's group vocal dynamic, covered "The Weight" soon after The Band's Music From Big Pink debuted, and joined them in their "final" concert film in 1976, The Last Waltz. The Band, Madison Square Garden, 1993. That wouldn't be the very end for The Band - they regrouped as a touring unit without guitarist and songwriter Robbie Robertson in the 1980s until Richard Manuel's 1986 suicide. 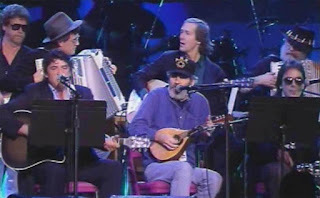 They regrouped to greater success again in the 1990s when they toured and released 3 albums until bassist & vocalist Rick Danko's death in 1999. But it was their early loose demos that they recorded in the basement of their communal Woodstock, NY, home, "Big Pink", that inspired my approach to the back porch feel to this acoustic project. After years of backing up Bob Dylan on the road, the group retreated to Woodstock after Dylan took time off to recover from a motorcycle accident. It was there that The Band found its sound, ironically, after years of being booed as Dylan's electric band, in loose, rootsy acoustic arrangements. Those demos would eventually be released as Bob Dylan & The Band: The Basement Tapes, at a time when The Band's recording output slowed down considerably, and are an absolute treasure. It was only a matter of time until I recorded one of my favorite songs of theirs, Bob Dylan's "When I Paint My Masterpiece". The song first appeared on Cahoots, The Band's 4th studio album. Many would go on to cover it, but my favorite version is The Band's 1993 performance at Bob Dylan's 30th Anniversary Concert. It is loose, goofy, and the first time many had seen the spirit of The Band in 20 years. With accordion and mandolin, it is also the most straight forward adaptation of a song I have done. 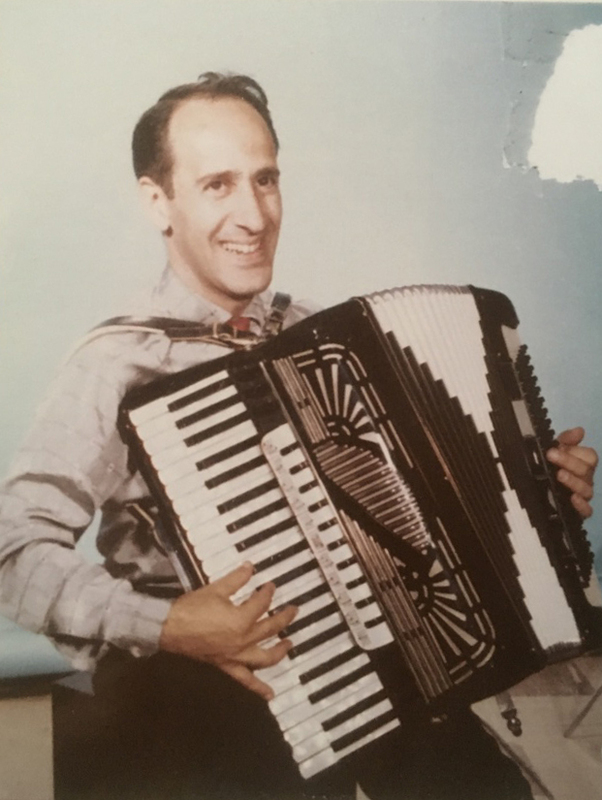 My grandfather, Joseph Tenuta, was a musician and accordion teacher. 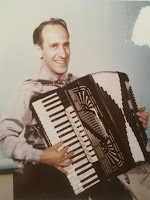 He passed away long before I was born, but my mother still had two of his student accordions (a LoDuca Bros made in Milwaukee, WI, no less), one of which I lugged home with me last year. Having played more piano recently, it didn't take too long to figure out how to play a very simple accordion part on "Masterpiece". I recorded a demo of the song last year, but I am glad I tucked it away and waited until I was ready to add the mandolin and accordion parts. I certainly didn't reinvent the wheel, but a song has already been perfected, what else can one do?